Affiliates MailChimp integrates Affiliates, Affiliates Pro and Affiliates Enterprise with MailChimp* and allows you to add your new and existing affiliates to a MailChimp mailing list. *Important – Please note that this integration is compatible and has been tested with the MailChimp API v3. It is not compatible with any of the previous deprecated versions of the API. Go to Affiliates > MailChimp and set the plugin options. The plugin connects to the MailChimp API through an API key which you can obtain here if you visit your profile and click on Extras > API keys. More info on how to create and obtain an API key can be found in the official MailChimp documentation. MailChimp uses Lists to store your contact data. Each List can be organised into Interest Categories and Interests. List name – all your contact data stored in MailChimp, belongs to a List. It can be created in your MailChimp account after filling a form with your personal details and a List name. Detailed instructions on how to create a new list can be found in the official MailChimp documentation. After creating a List put its name on this field. Interest Category – each list can be organised in group categories called Interest Categories. In each of our Interest Categories we can add several Interests. The name used in this field will be added automatically to your MailChimp List, if it doesn’t already exist. Interest – each Interest acts as a group where we can keep related contacts together in one place. The name used in this field will be added automatically to your MailChimp List, if it doesn’t already exist. Important: Please note that you must use the name of an existing list, otherwise your new affiliates won’t be stored in MailChimp. 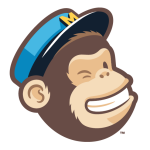 Assume that we created a new List in MailChimp called MyList. Also, we have many sources of subscribers among which is a website called myBlog and we need to keep these subscribers in a separate category called myBlog. In this website, users and affiliates can become subscribers and we choose to keep new affiliates in a separate group called affiliates. You may choose to request your affiliates to confirm their subscription by setting the Confirm Subscription option to YES. If this option is enabled while the plugin is deactivated, the above settings will be DELETED. If you want to keep these settings and are going to deactivate it, make sure to keep a note or backup or do not enable this option. After filling the entries click on the Save button. Whenever an affiliate registers on your site, he or she will also be added as a subscriber to your MailChimp list. Optionally, you can add your existing affiliates to the previously defined mailing list, if you click on the Synchronize button. Please note that this integration requires MailChimp API v3. It is not compatible (nor will it be) with any of the previous deprecated versions of the API.